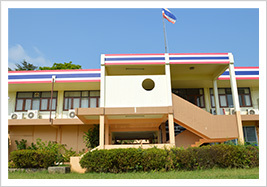 Kredtrakarn Protection and Occupational Development Centre, Called in short as Baan Kredtrakarn (Kredtrakarn Shelter), was established on 2nd July 1960 under the Department of Public Welfare, in conformity with the Prostitution Suppression Act B.E.2503 (1960). The law was amended to provide greater protection for women below 18 years of age by emphasizing more on recovery and occupational development service. 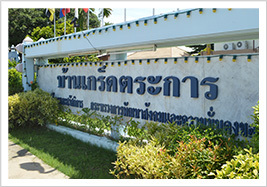 The Centre was subsequently renamed as the Kredtrakarn Protection and Occupational Development Centre according to the Prevention and Suppression of Prostitution Act B.E.2539 (1996) that was effective on 21 December 1996. The Centre also functions as the Assistance and Welfare Protection Centre for Women, providing protection service to women who suffer from all kinds of social problems such as sexual abuse, misbehavior, family problems, etc. In addition, Kredtrakarn Shelter also provides protection for women and children who are victims of human trafficking according to the Measures in Prevention and Suppression of Trafficking in Women and Chidren Act B.E. 2540 (1997), and the Memorandum of Understanding on Common Guidelines of Practices for Government Agencies Concerned with cases of Trafficking in Women and Children B.E. 2542 (1999).